Providing adequate support for low- and moderate-income homebuyers has been one of the more difficult challenges for people seeking to replace the current system of secondary mortgage market finance based on Fannie and Freddie with a new set of institutions or some different mechanism. Accordingly, five of the nine debate participants had expertise in affordable housing, minority lending, or multifamily rental finance: Mike Calhoun of the Center for Responsible Lending, Barry Zigas of the Consumer Federation of America, Rob Randhava of The Leadership Conference on Human and Civil Rights, Lisa Rice of the National Fair Housing Alliance, and Shekar Narasimhan of Beekman Advisors. Also participating were three individuals I would label housing policy analysts—Laurie Goodman of the Urban Institute, Mark Zandi of Moodys.com, and myself—and one advocate of free-market housing policies, Ed Pinto of the American Enterprise Institute. One of Ellen’s ground rules was that we try to keep our posts to around 200 words, and most of us were pretty good about that. By the end of the three days there really hadn’t been much “debate,” yet a good deal of valuable information was conveyed nonetheless. Also, I thought we reached something close to a consensus on each of the main issues we were asked to address: (a) there are clear roles for government in providing housing finance to underserved populations; (b) there is very little chance of reform legislation being passed in the foreseeable future, and (c) in the absence of legislation, the current game plan of Treasury, backed by what I call the Financial Establishment, of discretely hobbling Fannie and Freddie in an attempt to “crowd in” more private capital will continue, with the main doubt in people’s minds being whether these efforts will become more overt or extreme. Those interested in reading all of the comments can find them here. In addition, the three questions Ellen posed to us (in italics), the responses I gave to each, and a brief summary of the other comments are offered below—along with a discussion of two recent attempts I made to get responses to my criticisms of credit risk transfers. I responded by saying, “The federal government’s housing responsibilities should be to (a) devise and implement subsidy programs in support of underserved populations, and (b) foster the development of a housing finance system that will provide the lowest-cost mortgages to the widest range of borrower types, consistent with an agreed-upon standard of taxpayer protection. 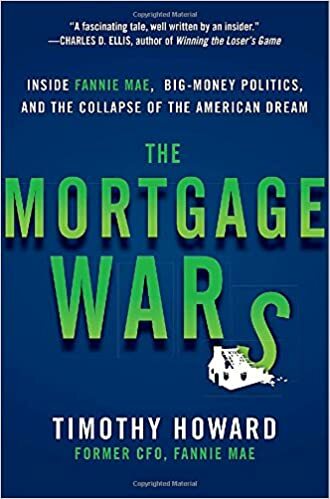 The biggest flaws in the current system are that the centerpieces of the secondary mortgage market, Fannie and Freddie, have not yet been given updated, true risk-based capital standards, and that they remain in conservatorship without the ability to retain earnings or raise private capital. During and after the crisis these two companies had by far the lowest default rates of any source of mortgage credit. There is no policy reason to replace them with an untested alternative; they should be allowed to recapitalize to new risk-based standards, be given utility-like return limits and made subject to tighter regulation, and be released from conservatorship. Here my response was, “My framework for government involvement in housing has two components: an effective direct subsidy program, and a mortgage credit guaranty system whose structure and operation facilitate cross-subsidies that hold down guaranty fees for affordable housing borrowers. The Senate draft bill misses badly on both. Its proposed reform of the secondary market credit guaranty system is almost completely devoid of details, making it impossible to assess how guaranty fees would be affected under the bill. The draft is silent on credit guarantor capital requirements—the most important determinant of guaranty fees—and leaves nearly all of the difficult challenges of replacing the existing system based on Fannie and Freddie with a new multi-guarantor system to be figured out by the regulator after the bill has passed. That is extremely risky. I chose to respond to the question this way: “I don’t believe there is any way to predict what will happen if the Senate bill passes, since it’s virtually devoid of operational details. It is analogous to having a group of auto critics design a car as it’s being built on the assembly line; it’s anybody’s guess as to what it will look like when it rolls off, let alone whether it will run. – Fannie and Freddie will remain in conservatorship until some triggering event—most likely an adverse ruling in one of the court cases challenging the net worth sweep—occurs to prod (or force) administrative action by Treasury. – Treasury’s reform initiative will follow the model put forth by Moelis & Company last June. This is a “turnkey” solution, with support of the investment bankers who will need to raise the capital for it, and it also will yield upwards of $100 billion for Treasury through conversion of warrants for Fannie and Freddie common stock. No one who replied to this question said they thought there would be reform legislation this year—or indeed at any time during the 3- to 5-year horizon of the question. And in the absence of legislation, most commenters said they thought that Treasury and the FHFA would continue to manage Fannie and Freddie consistent with their ultimately being replaced by some other entities or financing mechanism. Several noted that Mel Watt’s term as FHFA director expires in January 2019, and Barry Zigas, Zandi and Goodman all thought a new director was likely to take steps that would be negative for affordable housing. As Zigas expressed it, “A new director probably would try to shrink the GSE footprint and ‘crowd in’ private investment by increasing guarantee fees and reducing loan limits, no matter how dubious that outcome is.” None of the participants representing affordable housing constituents took issue with this prediction (unfortunately). “I have been a critic of credit risk transfer (CRT) securities as a substitute for equity capital in a reformed secondary market credit guaranty system, because I strongly believe that programmatic CRT issuance will make guarantors less able to absorb the credit losses they retain. My argument is a simple one. Investors price CRT securities with the objective of earning a competitive risk-adjusted return (that is, so that the interest income and principal repayments they receive will comfortably exceed expected credit loss transfers). If they believe there is a significant chance of losing money on a CRT investment, they either will raise their yield requirement or (more likely) decline to purchase new CRT issues. The inevitable result of this entirely predictable behavior by CRT buyers is that the issuer will end up paying more (and likely far more) in interest on the CRTs it issues than it receives in credit loss transfers, weakening its ability to bear losses itself during times of stress. This was a very clear question, to which I hoped to get a very clear answer. I did not. I posed my question at around 11:30 on Friday morning, but not until five minutes before the 5:00 pm cut-off time did any response appear. Then Zandi posted, saying, “This paper presents the case for the capital market CRTs in the current and future housing finance system.” The linked paper was from last August; it was not remotely responsive to my question, and I had no time left to make that or any other point. Both Zandi’s and the Annaly Capital executive’s (non-) responses to my criticisms encapsulate where we now are in the mortgage reform process—and, according to the participants in the Urban Institute’s on-line debate, where we’re likely to remain for the foreseeable future. Led by Treasury, the Financial Establishment is able to have its way with Fannie and Freddie, sweeping all of their profits, dictating what policies they adopt, and persistently diverting their business, and revenues, to well-connected competitors. Valid criticisms of what Treasury and FHFA are doing, or fact-based refutations of their stated reasons for doing it, pose no real threat to them. Until some individual or group in this or a future administration steps up and shows leadership on reform issues, there will be little change for the good to the status quo, which has been created by and favors the Financial Establishment. We will continue to debate how best to serve low- and moderate-income homeowners and renters, and they will continue to be served poorly.